Mmmmmm. Nothing beats good home cooked comfort food. This roundup has all your favorite classic meals, but with a little keto twist to make them deliciously keto and healthy. Check them out and don’t forget to comment below with your favorites! We all have our childhood classic meals that made it onto the dinner table on more than one occasion. Whether it was mac and cheese, roast beef, or chicken noodle soup, you at least have one distinct dish that reminds you of home. In honor of family, food, and just good home cookin’, I’ve put together a little keto recipe list that will bring back the memories and hopefully create some new ones with your family. A lot of these classic dishes would never make it with a keto diet, but with a little adjustment and some very creative bloggers, I’ve found a good mix. 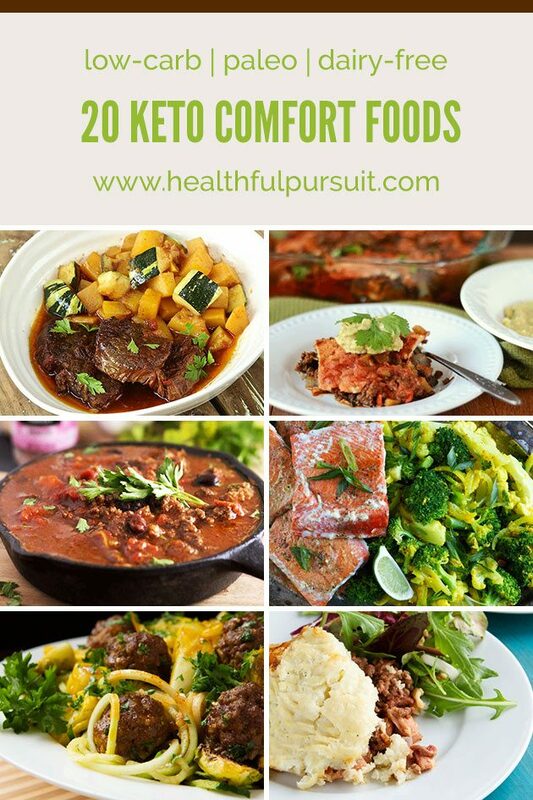 These keto recipes are all dairy-free, paleo, and keto-friendly, so you can spend more time with those you care about rather than wasting time scouring the Internet for ideas and substitutes to fit your needs (more time to eat and relax!). If you’re liking this whole keto thing, but would like to know more or are just fed up with not being able to keep the weight off, I highly recommend The Keto Bundle, which will help provide you with the info you need to put your body back on track to being happy and healthy (inside and out). Ready to get started? Me too. Let’s get on with it then, shall we? 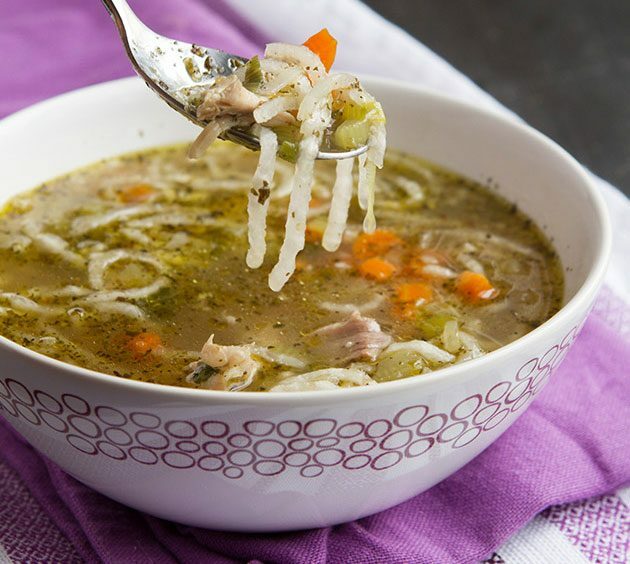 Who has never had chicken noodle soup? That’s what I thought. Pretty much everyone has had it at some point in their lives. This keto version takes the carbs out of it by replacing traditional noodles with “doodles.” Take a look to learn more about this fascinating keto noodle alternative. Another favorite of kids and adults alike, mac and cheese! 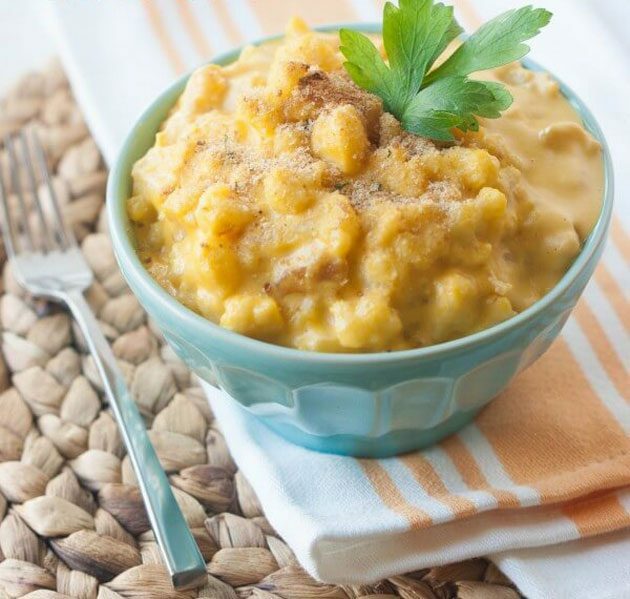 Now, keto mac and cheese can also be dairy-free by using coconut oil in place of butter, and I would replace the carrots with yellow turnips for fewer carbs. Thought you couldn’t enjoy pasta ever again due to being on a keto diet? Not true. The wonderful veggie daikon strikes again! Grab a bowl of warm chili on a cold day or make a big batch for friends on a game night! It’s all up to you, but be prepared for the onslaught of compliments you’ll get for this delicious keto recipe! Some people love meatloaf while others despise it. 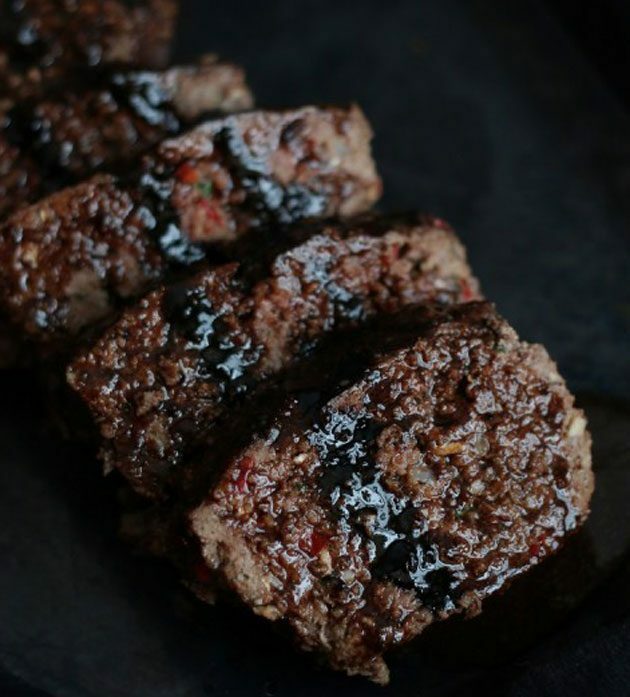 If you lean more towards the “love meatloaf” side, then you’ll thoroughly enjoy this new keto take on the classic meatloaf. There are also instructions on how to adapt this to meatballs if you wish to go that route as well. For dairy-free, replace the parmesan cheese with nutritional yeast. Also, I personally recommend this ketchup and xylitol for the sugar substitute. Good ol’ pork chops. This one’s sure to be a popular one for the family, and what’s more is that it only take 30 minutes to cook. 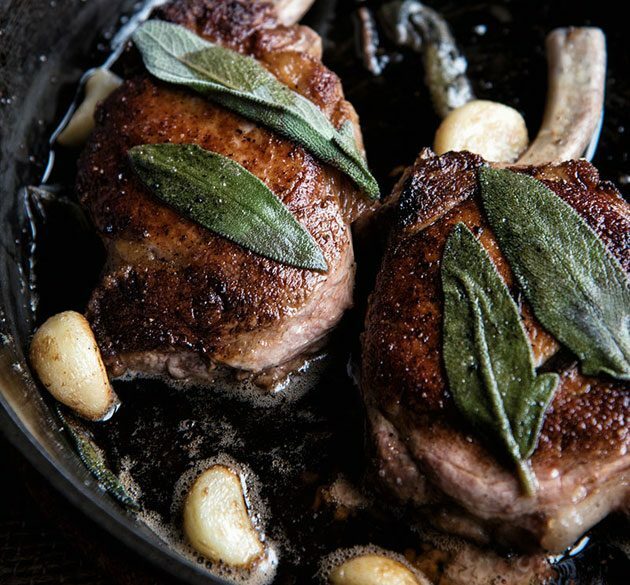 Enjoy your keto home cooked dinner with the family without having to spend half the evening in the kitchen! For a dairy-free option, replace the ghee with red palm oil. Time to get a little messy! Dig into these fabulously easy and keto sloppy joes without having to worry about carbs. If you can’t find coconut vinegar at your local store, you can substitute it with an equal amount of apple cider vinegar instead. 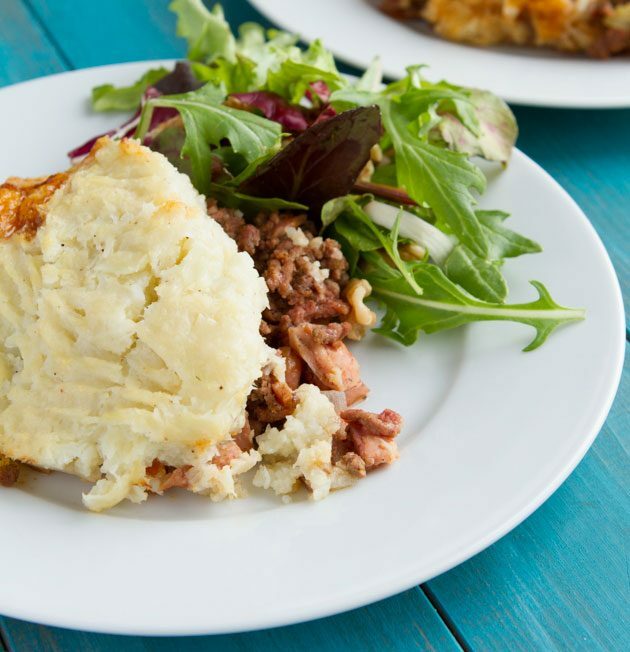 When it comes to comfort food, you have to have a casserole in there somewhere. This casserole has got lots of great keto ingredients that are low-carb but high-fat, and they nail it when it comes to taste as well. For the bell peppers, I would go with green since they are lower in carbs than the other kinds. Crispy chicken is definitely a crowd-pleaser, especially when it comes to feeding kids and picky eaters. If they’re all about ketchup with their chicken, I’d use this ketchup to keep it healthy and keto. For dairy-free, I would also choose the coconut oil option in the recipe. Mmmm… I love eating a good bowl of beef stew on a brisk fall evening. An added bonus is the fact that this keto meal involves a slow cooker! (Less time cooking means more time enjoying food and family!) To make this completely keto-friendly, replace the carrot with daikon or extra celery. Cauliflower is truly remarkable. 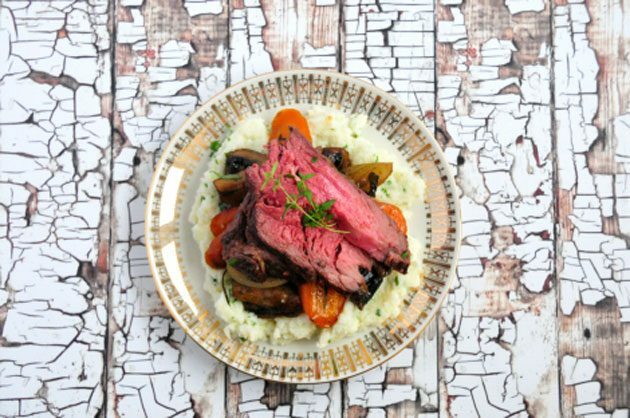 For those with doubts as to its sheer versatility, try using it in this keto-friendly recipe (substituting mashed potatoes). It will blow your mind. Seriously. For this recipe, I would replace the carrots with daikon or extra celery to make it even lower carb and more keto-friendly. 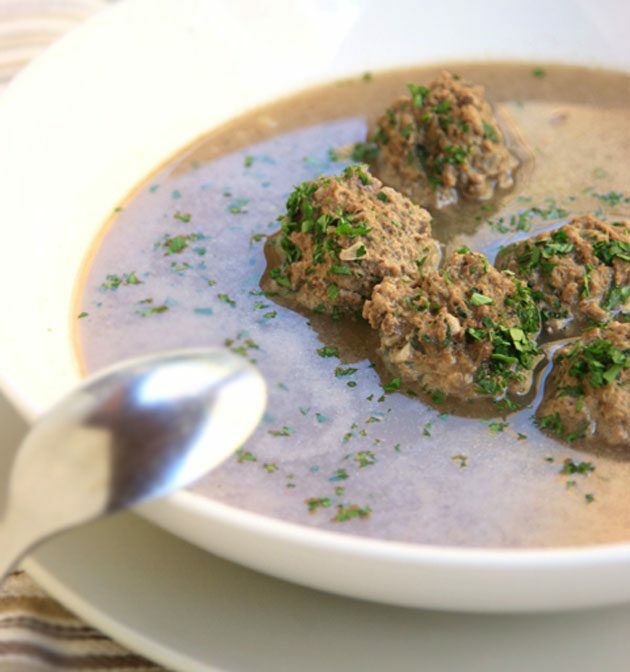 You might be thinking “What is liver doing on a comfort food list?” Actually, this is based on a comfort food that is popular in Germany and eastern European region. It might also remind you of your momma’s old chicken and dumpling recipe growing up. To keep it dairy-free, just replace the butter with Nutiva red palm oil or Epic tallow. 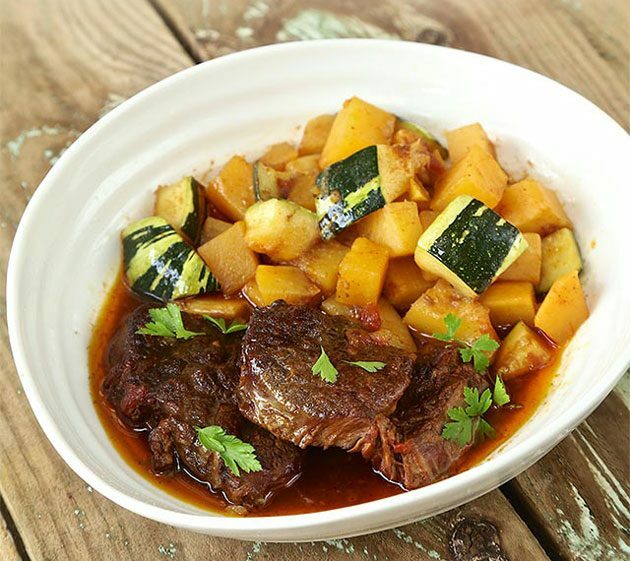 Here’s another keto stew recipe that’s just perfect for those colder fall days. I would go with the lard or tallow option instead of ghee to stay dairy-free. One thing about this keto recipe is it will give you the excuse to use a spiralizer, which is always fun! This recipe is a keto twist on the traditional spaghetti and meatballs and is making my mouth water just thinking about it. Beef stroganoff for everyone! The keto way of eating really does make a difference if you stick with it, but it can be hard if you don’t try a few new recipes every now and then. This one’s a classic, but with a keto take on it. Just replace the butter with red palm oil or tallow, and the sour cream with Vegan Sour Cream to keep it dairy-free. This one is truly a fundamental classic that you have most likely had at some point in your life. It’s definitely on the top of my personal keto comfort food favorites. To keep it more ketogenic, replace the carrots with daikon or extra celery (lower carbs). Now that’s good eatin’! 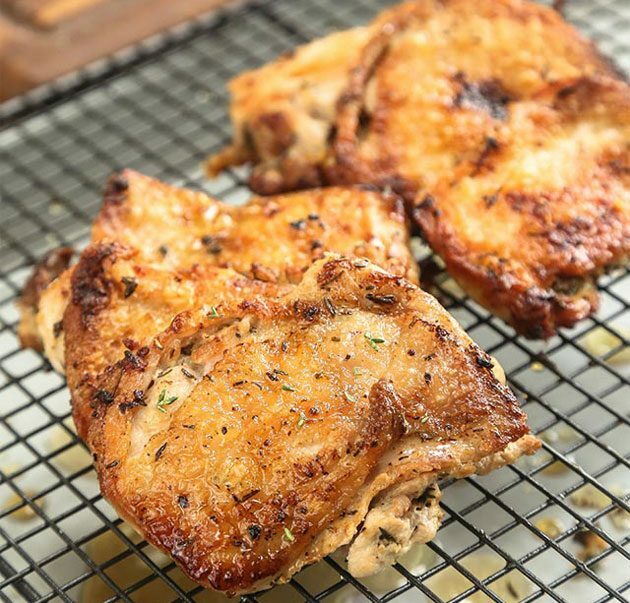 If you know anyone who absolutely loves chicken, then you’ll have to give them this recipe. It’s just downright good (and keto!). Don’t worry, I haven’t forgotten those of you who grew up eating fish. 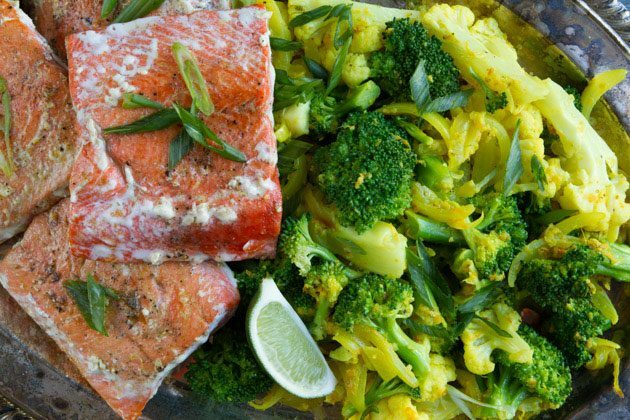 Here’s a great salmon recipe that’s just full of keto goodness! And last but not least, here’s a great comfort food meal that can be made as a great keto lunch or light dinner. 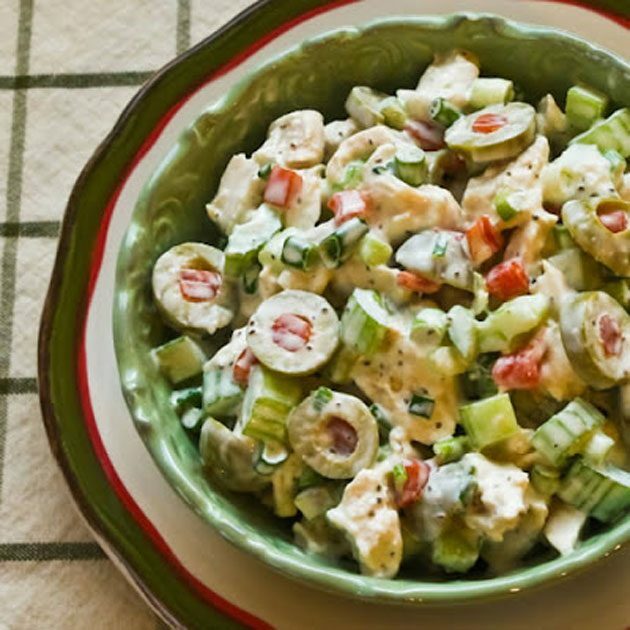 Replace the mayo with Primal Kitchen Mayo to keep it dairy-free and you’ve got yourself a fantastic keto chicken salad. So, what are your favorite keto comfort food recipes? How about recipes with Brussel’s sprouts?! (Or did you hate them as much as me?) Chat with me below to keep the creative juices going! The Keto Diet Podcast Ep. #064: Macros: Does Counting Work?